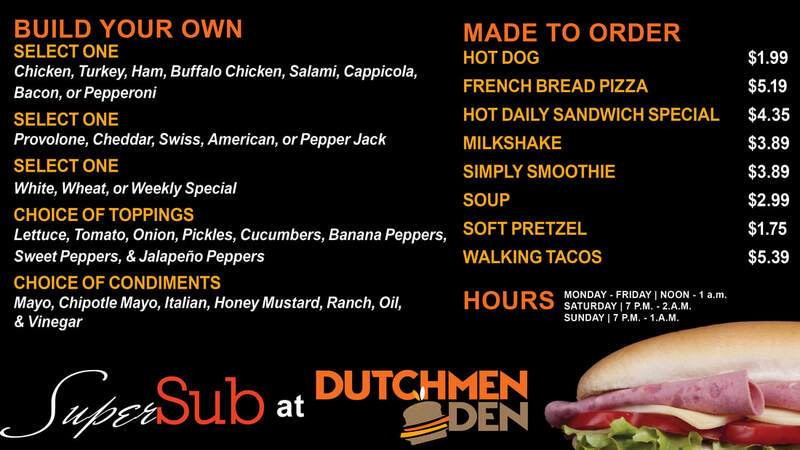 The Yuhas Commons is home to the Dutchmen Den which features made-to-order Super Subz, French bread pizza, Metz pocket stromboli, smoothies, and milkshakes. The Dutchmen Den also has convenience items available for purchase to suit all needs including school supplies and toiletries, along with frozen dinners and cold beverages. Questions? Call us at ​717.867.6676. ​7 p.m. - 1 a.m.